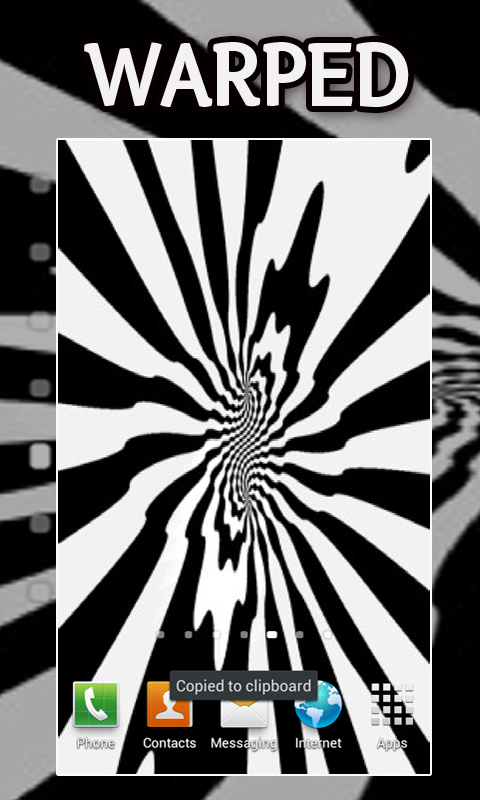 This is simply the very best Warped Art Live Wallpaper you will ever install for FREE onto your Android phone. Save this wallpaper, background and image right onto your phone as a screen saver by retrieving from your "SETTINGS" tab(go to live wallpapers)--SIMPLE AS THAT!! 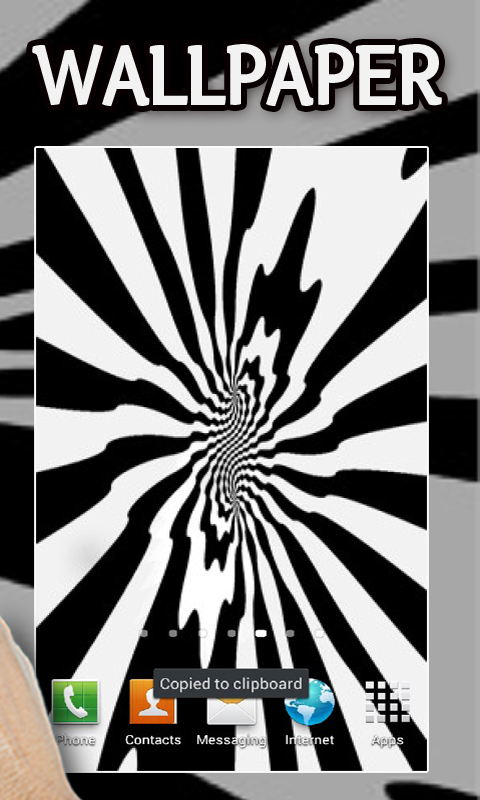 Simply put, you will be insanely impressed with the motion wallpapers of actual real life warped art effects that has ever been displayed on Google Play. 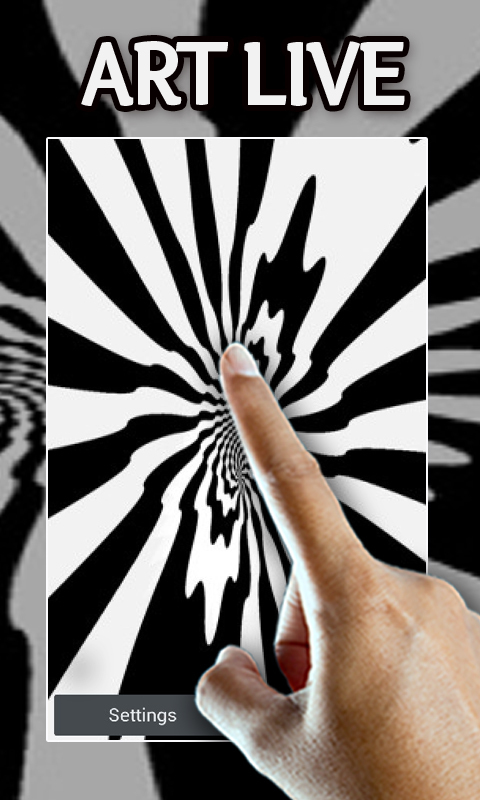 Watch the moving warped art take control of your phone and captivate you. If you stare long enough you could get lost into a transe like state.